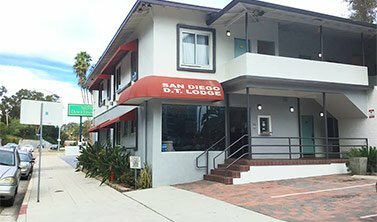 The San Diego Downtown Lodge sits on Tenth Avenue between the I-5 San Diego Freeway, and the 163 Cabrillo Freeway. 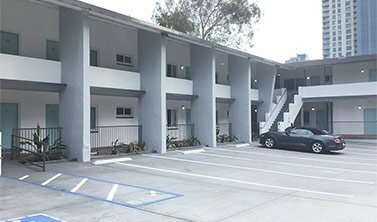 We are within walking distance to many restaurants, bars, and shops, and a short drive from the areas premier attractions like the San Diego Zoo, Seaworld San Diego, and the USS Midway Museum. 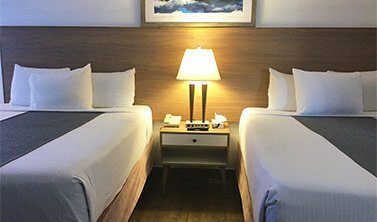 The San Diego International Airport and the Santa Fe Depot Amtrak Station are less than 3 miles from the hotel. Historic Downtown San Diego and the famous Gaslamp Quarter are also nearby. The Classic California weather lends itself to outdoor activity, and our proximity to Coronado Beach, Petco Park, and Balboa Stadium make it easy for guests of the hotel to enjoy the outdoors. Premium shopping is also nearby. Liberty Station, which is located in Point Loma, is comprised of a collection of historic mixed-use buildings that is a blend of eateries, specialty shops, and venues for live concerts and more. Horton Plaza Park, Fashion Valley Mall, and Las Americas Premium Outlets are additional local favorites. San Diego is home to world-class surfing, miles of pristine beaches, and friendly locals. 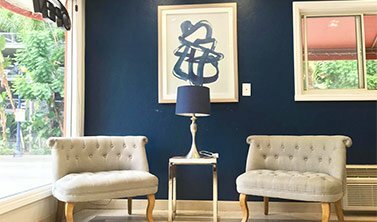 At the San Diego Downtown Lodge, we look forward to delivering an excellent boutique experience as your host. At the San Diego Downtown Lodge, guests can unwind and relax with the help of amenities and thoughtful services like nightly turndown service, daily housekeeping, smoke-free guest rooms, a 24-hour multilingual front desk staff, complimentary parking, complimentary WiFi, complimentary long distance and local calls, coffee and tea that is available in the common area, concierge services, express check-in and check-out, tour and ticket assistance, luggage storage, and safe-deposit boxes that are available at our front desk. 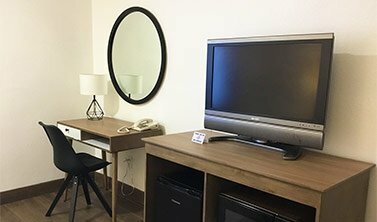 The convenient location of San Diego Downtown Lodge keeps guests close to exciting attractions, sightseeing favorites, and outdoor excursions. For guests that want to leave their car parked while sightseeing, public transportation is abundant in San Diego. With a diversified terrain, from gentle foothills to high-reaching mountains, there is a seemingly endless variety of things to do while visiting San Diego. Guests can rent a bicycle, explore the Pacific Ocean with a snorkel or kayak tour, or enjoy a sailing tour, enjoy a calm morning on a fishing expedition, or book a wildlife and whale watching tour. For guests who prefer to stay on land, Segway tours and rentals are nearby, as well as scooter and moped rentals. Popular landmarks like the San Diego Santa Fe Depot Amtrack Station, Old Town San Diego State Historic Park, and the Maritime Museum are close at hand. Other famous San Diego attractions that are within a short drive are the San Diego Zoo, SeaWorld San Diego, and the USS Midway Museum. The historic Gaslamp Quarter is a short stroll from the hotel. 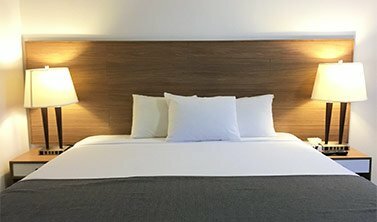 Our proximity to major higher learning institutions, world-class dining and shopping, and of course, 70 miles of pristine coastline, soft sand beaches, and idyllic California weather coupled with our exemplary service makes San Diego Downtown Lodge the perfect choice when looking for accommodations in "America's Finest City."